We thought the 'look' Peter Schreyer created for Kia was probably the most successful in the World. We said so here: Kia Ceed video. Now, it seems we weren't the only ones. Kia has won three design awards in the Automotive Brand Contest 2012. 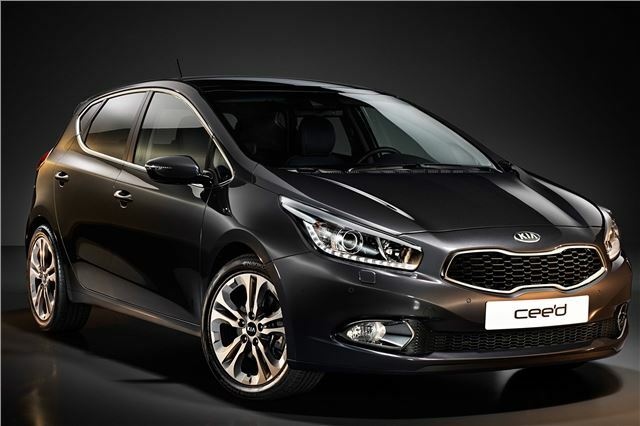 The new Kia cee'd - launched in June 2012 - triumphed in the exterior category and also received an honorary special mention for exceptional innovation in the interior category. In addition, the high profile jury selected the Kia GT as the winner of the concept award. The rear-wheel drive sports sedan design study made its world premiere in September 2011 at the Frankfurt Motor Show. The Automotive Brand Contest, was held for the first time in 2011, has become an internationally recognised competition. It is open to car manufacturers, automotive parts suppliers and companies delivering design and brand communications services to the automotive industry. There are a total of 16 awards categories, covering vehicle design, parts and accessories, technology, digital, branding and events activities. This year's two Kia award winners are key models for the brand. The second generation of the cee'd, Kia's best-selling model in Europe, features styling typically found on a sporty coupe, but offers the space and functionality of a five-door hatch. Its upmarket exterior design boasts a chrome-framed glasshouse and muscular lines on the bonnet, complemented inside by an ergonomic, driver-oriented control panel and refined interior, all backed by Kia's industry-leading seven year warranty. The Kia GT design study was inspired by 1970s grand tourers, and combines supple, muscular proportions with a sophisticated, elegant four-seat interior. It offers a glimpse into Kia's future design philosophy. The Automotive Brand Contest 2012 award presentation ceremony will be held at the Paris Motor Show on Automotive Designers' Night, 27 September 2012. Kia Motors received several accolades at last year's inaugural Automotive Brand Contest, winning the Best of the Best award in the brand design category, while Kia's Sportage, Rio and Optima models all claimed victories in the exterior category. The Automotive Brand Contest is organised by the Rat für Formgebung (German Design Council), which was founded in 1953 as an initiative of the German Federal Parliament and today counts among the world's leading competence centres for communication and knowledge transfer in the field of design. It counts amongst its members 170 companies from around the world. The Rat für Formgebung also organises the competition for the "Designpreis Deutschland", Germany's highest official design award. Do you work for Kia? Or did they just give you a big envelope full of money?